you time in CTF isn't added to your time played statistic in you career profile.not in all game modes and not in the capture the flag tab either.is this a known issue? Anyone else having the bubble for yourself freak out when used while taking damage? For D.va i have only 2 hightlights available + the default one.Meka Activated + Selfie.So 3 in total.I have it set to Random to see whichever but everytime i check my POTG or highlight, it is always the Selfie one i see.Never Meka activated or the default one..
How does everyone feel about the update today? Junkrat didn't feel like he was nerfed that hard.Managed to do about the same with him as always.Mercy on the other hand, feels less effective..Guess that is how everyone likes their healers...But it's just been one day.Time will tell..
What if Blizzard really listened to their forums? 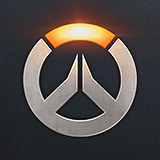 I play other heroes other than Mercy.Though it has got to stop trying to force healers into DPS and tanks slots.Healers, Tanks and DPS all require different skills to be played.When this game runs out of players willing to heal, what then?The other healers in this game are good, i play them regularly.But we didn't cry for months for a new healer only to have another be removed due to massive nerfs..
After trying the Mercy nerf...nope. These changes are too much.They could have started by removing the second rez charge and keep everything else the way it was.Perhaps remove the multi healing/boosting component of Valk and return her to single target healing.This would force Mercy to prioritize even more.I'm a Mercy main too and played several matches today.Too early to tell though if i won't be able to adapt to this.Have had to do it several times now so we'll see.But now that Mercy and Junkrat have been nerfed, when is Hanzo and his one shot ability up?